So much has changed when it comes to technology over the last few years. Phones got smaller and smaller – before getting bigger once again. Plus, they now come with the entire internet right in our very pockets. That is a huge leap from the days of having to choose between using the phone or browsing the web. Go us! Cassette tapes have come and gone, but it looks as though records are coming back after a few years away. However, there is one part of our childhood that we can’t forget. VHS tapes. They were the joys that brought our favorite movies to life in our own homes without having to go to the theater. Long before the days of Netflix, we used to have chunky copies of these films to hold in our hands. Some of us managed to rack up huge collections of tapes, while others would use the likes of Blockbuster to rent a movie for the weekend. Imagine the chaos if this became the new way of life again? 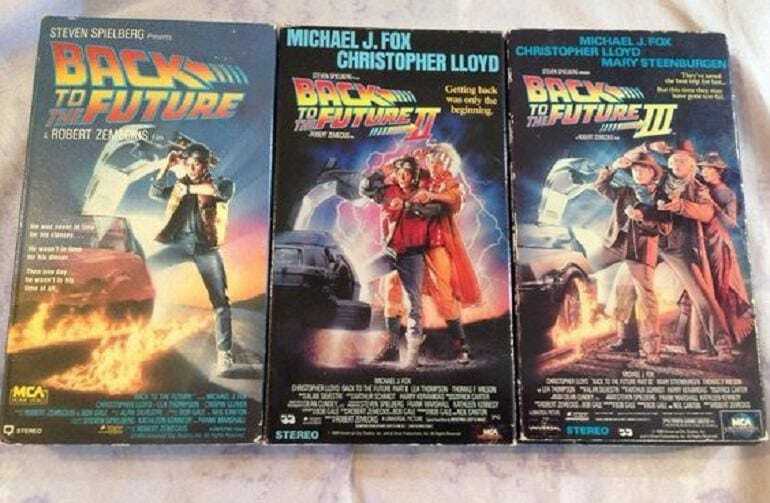 Waving off our childhoods can be hard, but there is no harm in looking back at all our favorite nostalgic VHS tape covers that gave us so many memories over the years. Grab some popcorn; we’re about to take a step back in movie history. What better way to start the list than with an animated Disney classic? This movie has recently been remade in live action with Emma Watson playing the lead. However, back in 1992, it was all about these hand drawn characters. 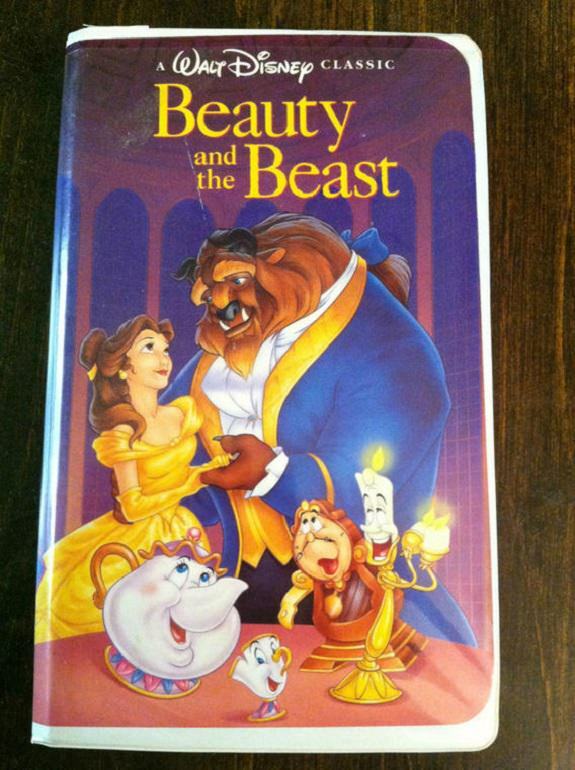 The movie follows the tale of Belle who finds herself mixed up with a beast living alone in a castle. The crockery and furniture put on some wonderful musical numbers, but will Belle be able to escape or will true love find a way? If you still have a copy of this film on VHS, then you might be in luck, too. Many Disney fans have been rooting through their cupboards as one original unopened version recently sold for over $5,000! Although this musical fantasy film first hit theaters back in 1939, it wasn’t released on VHS until the 1970s. The movie tells the story of Dorothy who finds herself whisked off to the land of Oz. Here, she must find her way back home to Kansas with the help of her new friends. The film was an instant hit after its initial release, but it was the television broadcast in 1956 that saw it grow to the popularity we now know and love today. In fact, the movie was such a success that it is often considered to be the best film ever made. 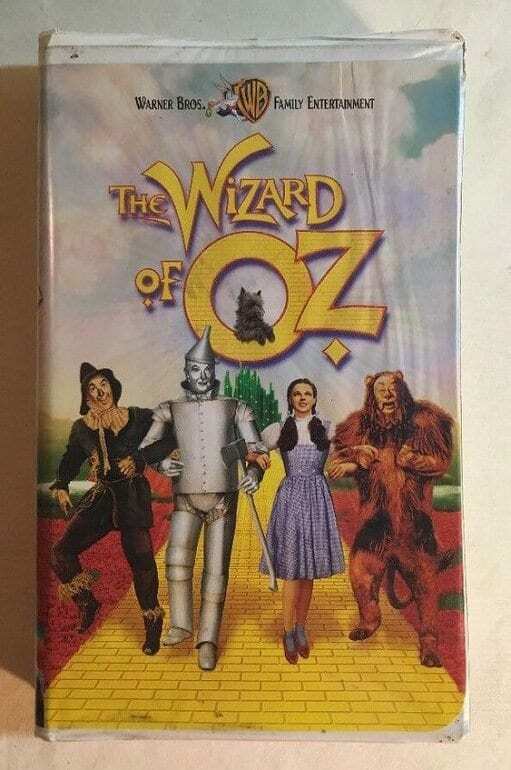 As if that wasn’t enough, The Wizard of Oz was one of the first films to be released on tape by the production studios. This fantasy adventure movie was by no means the first film in the late Robin Williams’ career, but it certainly wasn’t the end either. Here, we get to see the actor play the leading role of Peter Pan. Peter has forgotten all about living in Neverland until his arch-rival, Captain Hook, begins kidnapping his children. 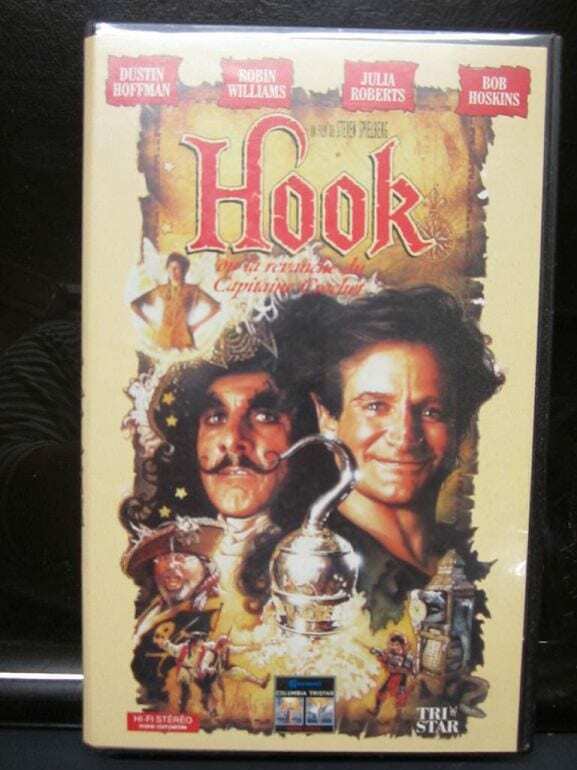 Hook hit the theaters in 1991 before making its way to VHS the following year. We can almost see the Lost Boys and hear the ticking croc just thinking about it. After several huge hits, the legendary director Steven Spielberg gave us the sci-fi family classic that is E.T. The movie came out in 1982 and quickly shot past the sci-fi film Star Wars when it came to raking in the big bucks. People just couldn’t wait to find out if E.T. would ever make it back home. Would he get caught? Many children all across the world dreamed of having an alien crash land in their yard after this release. Thankfully, in 1988 we were at least able to bring this movie magic home. As soon as you hear the xylophones begin to play it’s hard not to think of The Rugrats. This animated movie hit our screens in 1998 after several years as a successful TV show. The babies take to the street as they try and make their way to the hospital to return Tommy’s new younger brother, Dil, as the pair aren’t seeing eye to eye. The movie was such a success that it started a chain of films from the franchise. 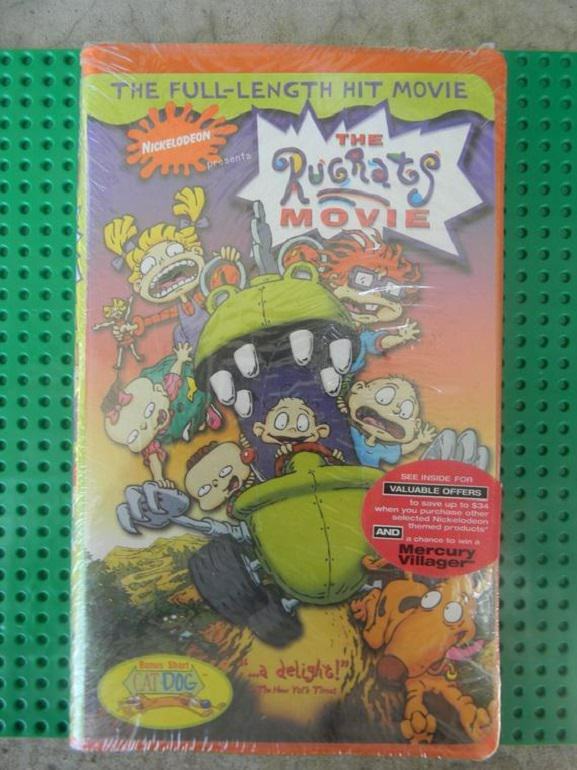 This VHS cover has certainly got us feeling all nostalgic. We’re going all old school now as we head back to 1984 where we find the likes of Kevin Bacon and Lori Singer dancing away to banned rock music in this musical drama. From the hairstyles to the clothes – it’s everything ‘80s that we have needed in our lives over the years. It wasn’t only the movie that was a huge success either. 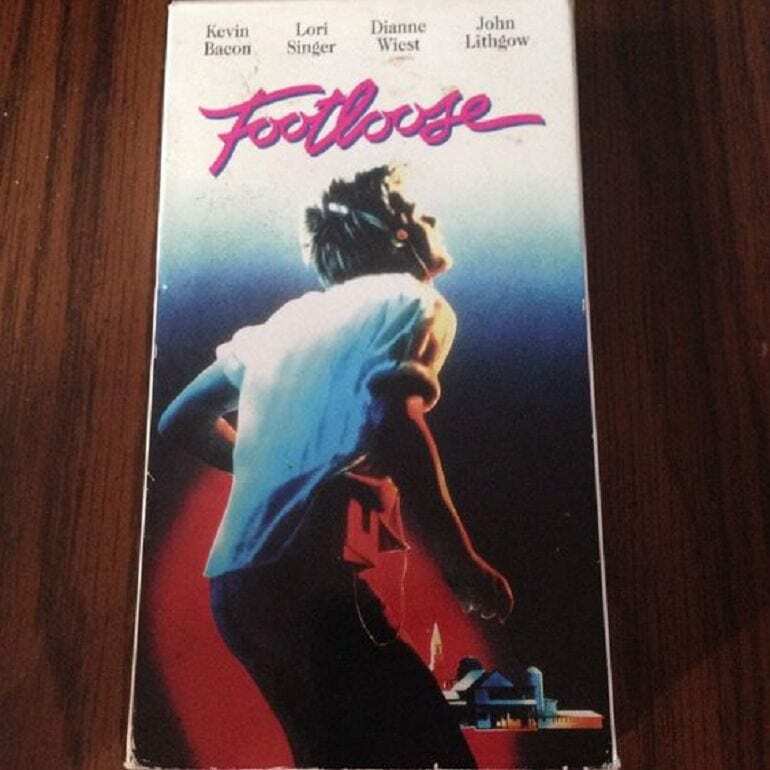 The soundtrack from the film shot to number one as it got everyone across the world on their feet and feeling Footloose. Back in 2001, we were graced with the work of trainer Denise Sizzler in our own homes. Who needed the gym when there were so many great workout tapes to choose from? From squats to leg lifts, bicep curls to tricep dips, and push-ups to sit-ups, Denise really does know how to get your whole body working in this epic workout trio. People all around the world fell for the ease of the exercises which made them an instant hit for many looking to tone up at home. 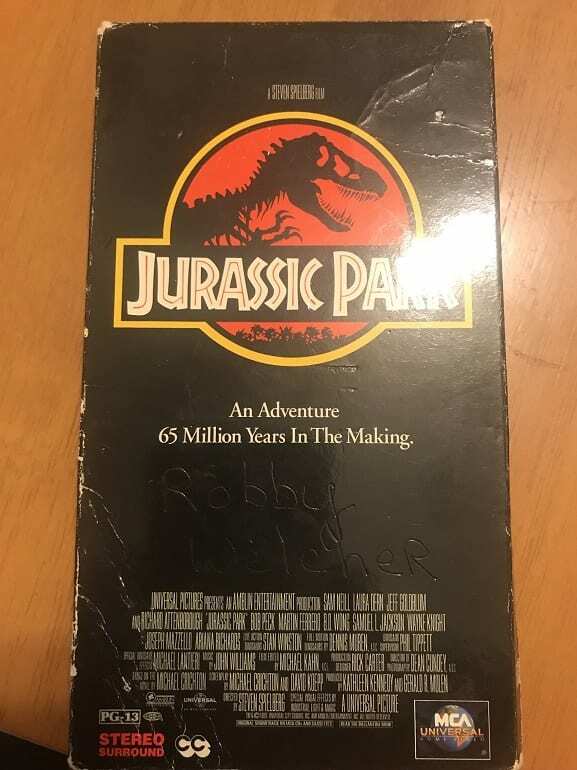 Steven Spielberg seems to have always been at the top of the movie game, and the release of the action movie Jurassic Park was no exception. Long before the days of Jurassic World, we had the original film in the series. The 1993 release was an instant success as it raked in more than $914 million making it the highest-grossing movie of the time. 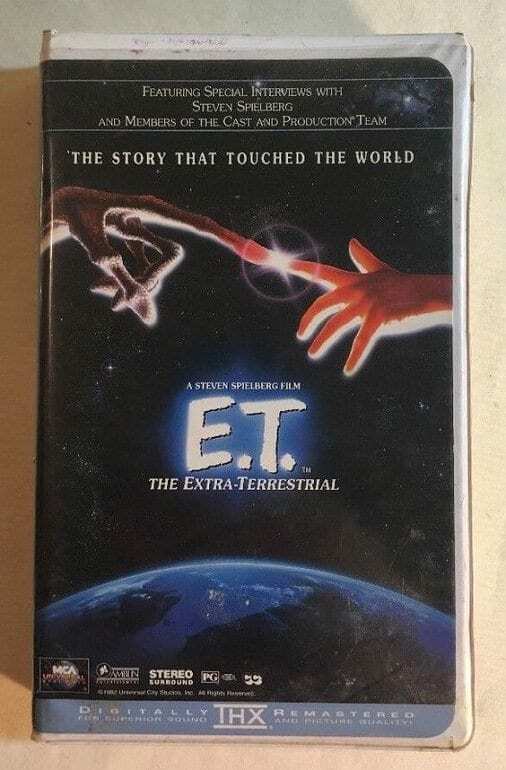 The VHS cover art may have been simple, but it has become one of the most iconic movie covers in history. Horrors – aren’t they great? Long before the likes of today’s terrifying movies we were graced with classic slashers. Then it was just one villain going around town taking down anyone that stands in their way. Would they be able to uncover the person behind the mask before it was too late? For many of us, Scream was one of our first introductions to the genre thanks to the 1996 release date. Plus, we got to relive all those tense moments while hiding behind the couch, could it get better? 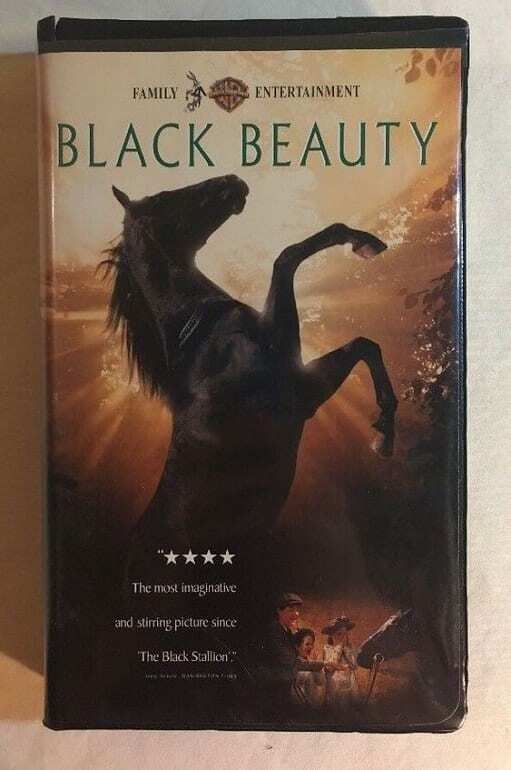 The VHS cover for this drama may be simple, but it captures all the elegance of the main character, a horse named Black Beauty. The movie follows his life as he is pushed from pillar to post and tries to hang onto his friends. However, all the trials he encounters soon take their toll. Will he be able to make it out of his harsh life, or has Beauty been pushed one step too far? Thankfully the 1994 VHS release meant we could take this tear-jerking classic home and enjoy a quiet cry as many times as we liked. Cowboy hip-hop dancing? Yes, please! 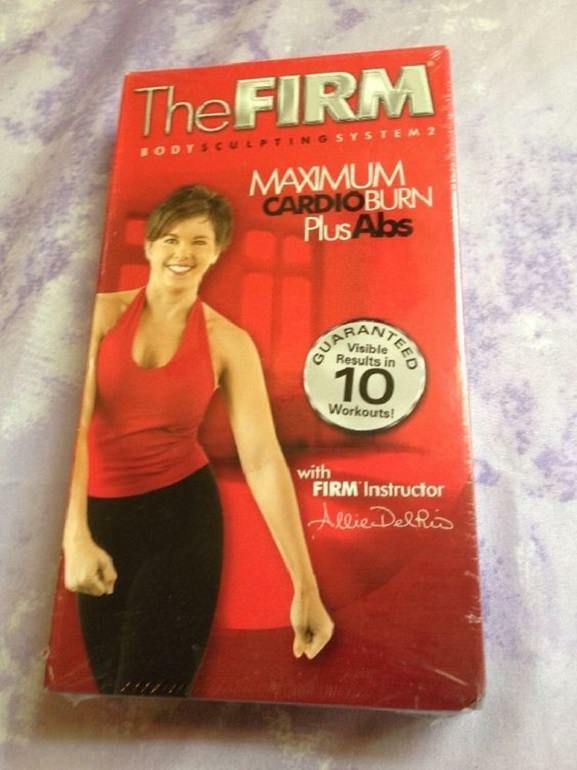 Diane Horner first released her fitness VHS back in 1995 but has been selling copies ever since. 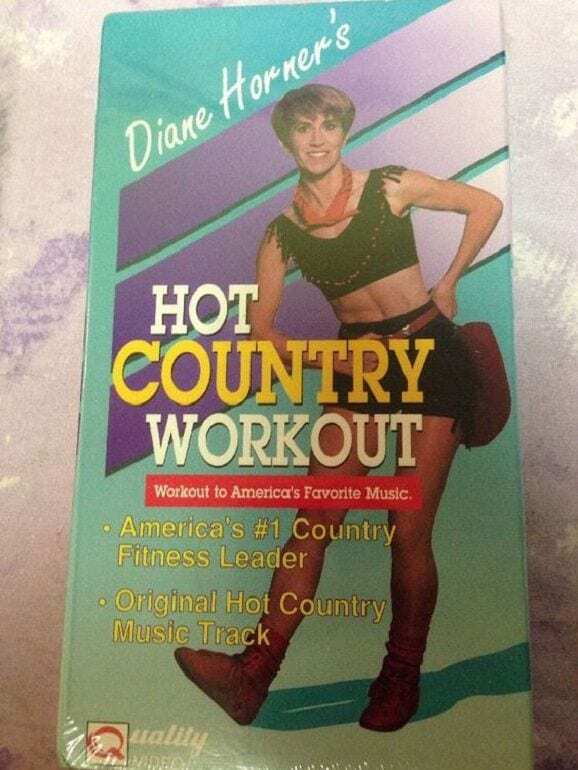 Now, you could listen to all of America’s great country songs while still getting a full body workout. It’s almost too good to be true. As if that wasn’t enough, Diane’s confidence was enough to fill the entire room. Move over yoga pants; we’re about to break out the cowboy boots and get our dancing on once again. Superhero films may now be a huge part of our everyday lives, but they were once few and far between. 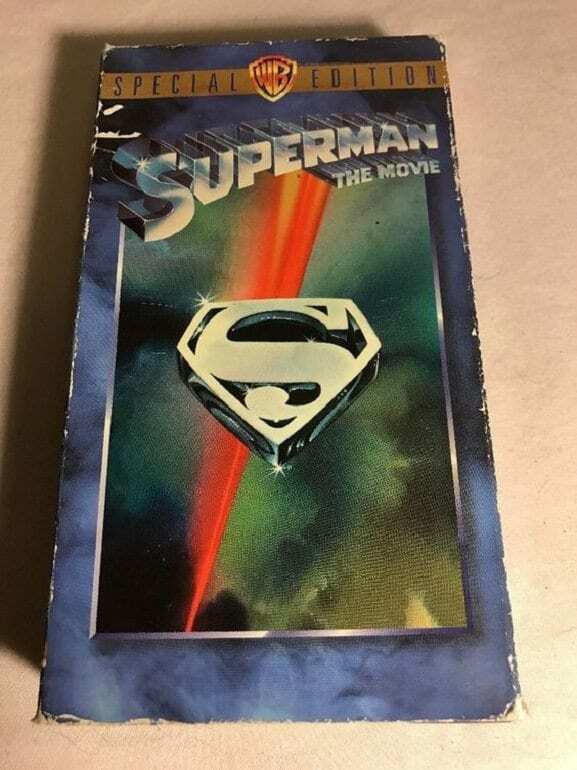 Superman: The Movie first hit theaters in 1978 and was a huge success. Fans were able to see the origins of one of our favorite heroes as well as learning how Clark Kent juggles his normal life with saving the planet. It wasn’t until 1994 that we got to bring our hero home with us. However, the cover now tells us all we need to know about the movie: it’s going to be epic. It’s all about the doo-wops and the yippity boops as we head back to 1978 for this John Travolta and Olivia Newton-John musical classic. The movie knew how to get everyone on their feet dancing and singing as we get to follow the story of Danny and Sandy – the unlikely couple that have an on-off relationship throughout the entire film. However, shortly after the release, we could get swinging whenever we liked thanks to the VHS copy that brought it to life in our very homes. Macaulay Culkin’s scream pose has now become one of the most recognized VHS covers in the history of film. This Christmas movie is still a classic for many families all around the world who give it a watch every year, but we will always remember back to the days of holding it on VHS. The best bit? When you realize you forgot to rewind the tape last Christmas and had to spend five minutes getting it all sorted. Weren’t VHSs great? Disney sure does know how to make ‘em, and Tim Allen was one of the many stars to get caught up along the way. Christmas isn’t complete without a watch of this holiday classic. 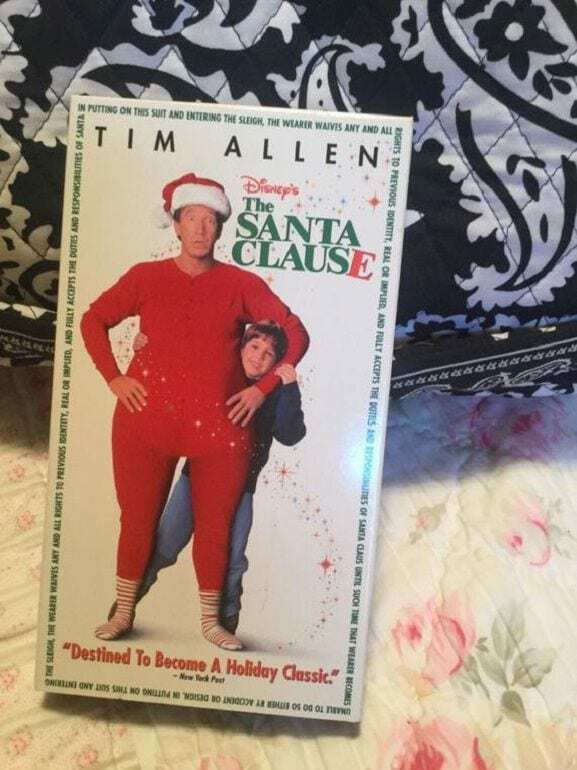 Tim plays the leading role, a man that accidentally finds himself turning into Santa Clause after an accident on the roof. The only issue is he has no idea how to run Christmas! Seeing Tim’s face on the cover of this VHS has us feeling all warm inside as we remember the years of watching this classic. Before Sarah Michelle Gellar we had Kristy Swanson starring as Buffy in this comedy horror movie. What starts as a simple cheerleader popular girl film soon turns into something much more as Buffy learns of her secret gift. 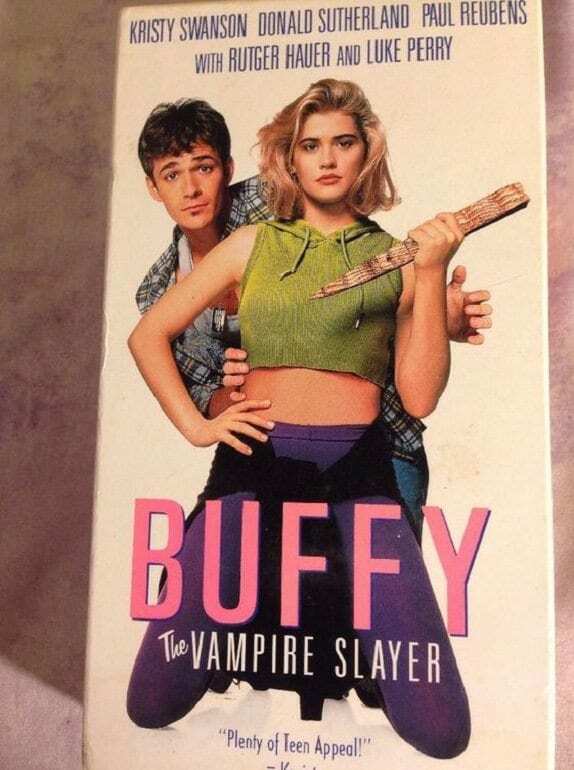 We got to continue our love for this star thanks to the TV series that followed a few years later, but seeing the VHS tape cover is leaving us all nostalgic. After all, without the movie, the TV show would have never existed. This sci-fi hit was way ahead of its time since the initial release back in 1985. It’s hard to mistake that DeLorean or those high tops for anything other than this great movie franchise. For three films we got to see Marty McFly travel through time with the help of his trusty friend, Doc Brown. Will he be able to keep the timeline in check? Now we want to get in our very own DeLorean, hit 88 mph, and relive the very moment these VHSs hit the shelves. 1998 was a wonderful year. Britney Spears was quickly becoming our new favorite star, The second Harry Potter book was released, and Furbies were all the rage. To top it all off, Marla Maples was taking over the world of fitness thanks to her incredible at home workout VHS. The trainer devised a range of exercises that were designed to be low impact while still getting the results people were searching for. The VHS was so popular that many still use the program to date.